Monarch Air Group provides private air charter in Atlanta, GA. Our clients benefit from top-notch service, unrelenting dedication to safety, wide selection of aircraft, and years of experience in chartering private jets. To obtain a free quote, please use our online quoting tool provided below, or call toll free 1-877-281-3051. Atlanta is the capital and the most populous city in the U.S. state of Georgia. It is the center of culture, shopping, and professional sport. Many young artists come here to reveal their gift. Atlanta has many sights to visit, such as The Woodruff Arts Center, The Alliance Theatre, The High Museum of Art, The Atlanta Symphony Orchestra, The Center for Puppetry Arts, Georgia Aquarium, The Atlanta Botanical Garden, and Atlanta Zoo. Having access and experience, Monarch Air Group Jets offers you the best value private jets for charter to and from Atlanta, Georgia. The Executive charters airports in Atlanta are Fulton County Airport (FTY), Dekalb-Peachtree Airport (PDK) and Hartsfield-Jackson Atlanta International Airport (ATL), which are located within 15 miles from Atlanta. It is a perfect place for turbo prop charters and jet charters. There are 37 aircraft located nearby available for charter. Based in the region most common aircraft types include light jets such as Learjet 35, Citation II, Beechjet 400, Hawker 400XP, midsize jets such as Citation III, Hawker 800XP, Hawker 800, turbo props such as Pilatus PC-12, King Air 90, King Air 200, and large jets such as Legacy 600, Challenger 600, Gulfstream GIII. There are numerous transient aircraft and discounted empty legs. However, the aircraft based at the departure airport not always offers the best value or pricing. Contact us and we will help you to make a selection that offers the best value all around. The capital of the state of Georgia, Atlanta, is the largest and most populated city with a fine mix of arts and cultural destinations. It is a center of excellent shopping, professional sports, and an achievement point for beginner artists. The most popular places of interests are The Woodruff Arts Center, The Alliance Theatre, The Atlanta Symphony Orchestra, The Center for Puppetry Arts, The High Museum of Art, Georgia Aquarium, The Atlanta Botanical Garden, and Atlanta Zoo. 1. AHN, Athens, Athens, United States. 2. ATL, Hartsfield-jackson Atlanta International, Atlanta, GA, United States. 3. CWG, Callaway Gardens, Callaway Gardens, United States. 4. FTY, Fulton County, Atlanta, United States. 5. GVL, Lee Gilmer Memorial, Gainesville, United States. 6. JAJ, Perimeter Mall, Atlanta, United States. 7. JAO, Beaver Ruin, Atlanta, United States. 8. JGL, Galleria Heliport, Atlanta, United States. 9. LGC, Calloway, La Grange, United States. 10. MGE, Dobbins Afb, Marietta, United States. 11. NCQ, Atlanta Nas, Marietta, GA, United States. 12. 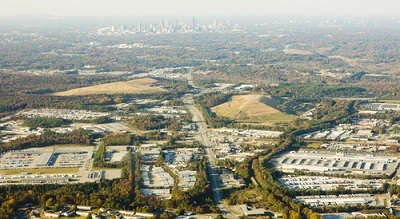 PDK, Dekalb-Peachtree, Atlanta, GA, United States. 13. PIM, Garden Harris County, Pine Mountain, United States. 14. RMG, Richard B Russell, Rome, United States. 15. WDR, Winder, Winder, United States. 1. The Ellis, 176 Peachtree Street Northwest, Atlanta. 2. The Ellis, 176 Peachtree Street Northwest, Atlanta. 3. Omni Hotel at CNN Center, 100 CNN Center, Atlanta. 4. The Westin Peachtree Plaza, Atlanta, 210 Peachtree St, Atlanta. 5. Embassy Suites, 267 Marietta St., Atlanta. 6. Glenn Hotel, Autograph Collection, 110 Marietta Street Northwest, Atlanta. 7. Holiday Inn Hotel Atlanta, 101 Andrew Young International Blvd NE, Atlanta. 8. Sheraton Atlanta Hotel, 165 Courtland Street NE, Atlanta. 9. Atlanta Marriott Marquis, 265 Peachtree Center Avenue Northeast, Atlanta. 10. The Ellis, 176 Peachtree Street Northwest, Atlanta.